By SIR JOHN MARRIOTT, M.P. MOST READILY, BUT with a heavy heart, I comply with the suggestion that I should contribute to The Fortnightly Review a few pages in memory of the man who for thirty-four years was its editor, and for fifty years was my friend. Among the literary men of our time Courtney had, by general admission, a place all his own. A headmaster at three-and-twenty, for nearly fifteen years (1876-1980) a brilliantly successful college tutor and lecturer, treasurer of the O.U.B.C. and coach of the college eight, a leading figure in the social world of the University, the life of the Senior Common Room of New College, the foster father of the O.U.D.S., hail-fellow-well-met with the undergraduates, but at the same time a philosopher of no mean merit and the friend of Jowett as well as of Irving, Tree and Toole – all this before, at the age of forty, he migrated from Oxford to London to become, for a full generation, one of the most prominent figures in the literary world of London. When I first went up to New College as an undergraduate Courtney had but lately returned to Oxford as a Tutorial Fellow of the College and lecturer in philosophy. For exactly half a century he and I were friends; from time to time we were closely associated in work and play, and it is therefore a special gratification to me to be allowed to lay a wreath of affectionate remembrance upon his tomb. Born in India in 1850, the son of a civil servant, Courtney was educated at Somersetshire College, Bath, and University College, Oxford, whence, after a successful undergraduate career, he was elected into a Fellowship at Merton. But he was anxious to marry, and after a year’s tenure of his Merton Fellowship he accepted, with characteristic courage, the headmastership of his old school (1873). He was not, however, born to be a schoolmaster, and three years later he returned to Oxford as a married don, and on terms so flattering that after a specified period of service he had the option of retiring and at the same time retaining the rights and emoluments of a Fellowship. He exercised the option, and thus died, at the age of seventy-eight, a Fellow of New College, having in the meantime accomplished nearly forty years of literary work in London. At Oxford Courtney will be long remembered as one of a small group of tutors who transformed New College from an annexe of Winchester into one of the largest, most popular and, in both sport and work, one of the most successful colleges in the University. The present Warden (Mr. H. A. L. Fisher), who was his pupil, has been kind enough to send me a short note on Courtney’s work at New College. “I used,” he writes, “to attend his lectures on philosophy when I was an undergraduate, and I also wrote essays for him. He was, I think, a most admirable lecturer, very clear and methodical, never wasting a moment of anyone’s time and most helpful for the schools. His lectures were always crowded – indeed, he and Alfred Robinson and Pelham of Exeter were, I think, the most popular lecturers in their different subjects in the School of Literae Humaniores during my undergraduate time. Some people, it is true, thought that Courtney’s lectures were too cut and dried, but I confess that I found them thoroughly interesting, and that they put me in the way of a good deal of profitable philosophical reading on my own account. He had an easy command of the general outline of philosophical thinking which was very impressive to the tyro, but, of course, philosophy was, as we all realised, only one of his very many interests. I was not myself a pupil of Courtney’s, but the undergraduate option of my day was entirely consonant with Mr. Fisher’s recollections. What he says of him as the “life of the Common Room” I can personally confirm. Yet I think all his colleagues felt that the atmosphere of a Common Room was not wholly congenial to Courtney. A generation earlier it would indeed have been infinitely more distasteful, for already the old order was rapidly passing away, and university life was broadening with the progress of “reform.” Courtney’s return to Oxford synchronised with the beginning of those changes which have gone far to transform a university city into a residential suburb: the home not only of married dons and their families, but of retired clergymen, civilians and soldiers. In the seventies Oxford had just begun geographically to expand. Goldwin Smith and Max Müller were, I believe, among the first of university professors to take up their residence north of the “Parks.” But Parktown itself was still an isolated suburb; Summertown was a rural village. In the new society of “North Oxford,” no less than in that of the College and University, Courtney was an outstanding figure. He and his young wife made their house in the “Parks” a centre of social activity, and particularly were they to the fore in College or University balls and theatricals. Of drama Courtney was throughout his life a devotee, and no man did more to secure for it is due place among the intellectual activities of undergraduate Oxford. He began diplomatically with a revival of Greek plays, and with F. R. (now Sir Frank) Benson, George Lawrence of Corpus, and C. N. Bruce of Balliol, was mainly responsible for the production of the Agamemnon, first in the hall of Balliol College and afterwards at St. George’s Hall in London. Then came the establishment of the O.U.D.S., with Arthur Bourchier, Alan Mackinnon, and (somewhat later) young Harry Irving as his principal lieutenants. The Merchant of Venice was produced by the Society in the Town Hall, with Bourchier as Shylock, Mrs. Courtney as Portia (and an admirable Portia she made), Mrs. Margaret L. Woods as Jessica, W. (now Sir William) Bromley-Davenport as Old Gobbo, while Courtney himself was a splendidly handsome Bassanio. The Archbishop designate of Canterbury was also (if my memory serves me) in the cast. As yet, however, Oxford lacked a theatre, though entertainments of a kind were given in a wretched tumble-down structure called the “Old Vic,” which was chiefly memorable as the scene of undergraduate rags, and mainly profitable to University finance as a happy hunting ground for the proctors. But at last Courtney found a staunch ally in Jowett, the broad-minded Master of Balliol, and with his full concurrence as Vice-Chancellor, a handsome little theatre was opened in 1886. The battle of the drama in Oxford was won, and won largely by the persistent yet tactful efforts of the young tutor of New College. From that day onwards the annual productions of the O.U.D.S. – confined at first to classical and Shakespearean drama – have been among the most interesting events of the academical year. Yet, despite his growing reputation as a teacher and as a writer of philosophy, despite his many-sided social activities, Courtney was becoming increasingly restless in Oxford. He had formed friendships with Irving and J. L. Toole – both of whom he entertained in Oxford – and other leading actors; he was already contributing to The Fortnightly, and perhaps to other reviews, though he by no means neglected his own specialised studies. He published The Metaphysics of John Stuart Mill in 1879, Studies in Philosophy in 1882, Constructive Ethics in 1886, and a short life of J. S. Mill in 1889. Such solid work, coupled with his high repute as a teacher, gave him a serious claim to consideration for one of the philosophical professorships. Twice, however, he was, to his chagrin, passed over, and under the shock of this disappointment he decided to leave Oxford for London. It was not a decision to be lightly taken by a man of middle age with a large and young family. On the contrary, it was an act of faith and adventure. Well do I remember the dismay caused to his colleagues at New College by the announcement that Courtney was going to join the editorial staff of The Daily Telegraph and mitigate to London. In January, 1890, however, the migration was accomplished, and thenceforward London was his home and the centre of all his interests. He never regretted, nor, I think, had he any cause to regret, a decision which caused more surprise then than it would to-day. Was it Andrew Lang who said that only those sons of Oxford cease to love her who linger in her quadrangles too long? It may well have been, for Lang’s own career was largely parallel with Courtney’s. Like Courtney, Lang was a Fellow of Merton, vacated his fellowship on marriage, and deserted the academic life for that of a London journalist. Courtney, at any rate, was a far happier man in London than ever he had been in Oxford. In Oxford he was always (so it seemed to me) somewhat artificial, a trifle self-conscious, and almost, at times, ill at ease. In an environment only partially sympathetic a man is apt to be half unconsciously on the defensive. In London, on the contrary, Courtney was perfectly natural, wholly at his ease. Always the most courteous of men and the kindest of friends, he seemed in London to gain perceptibly in simplicity and humanity. His clubs, the Garrick and the Beefsteak, were far more to him than ever the Common Rooms of Oxford had been. The change in his temperament was subtle, but to me it was clearly apparent, and others who knew him well, both in Oxford and London, were not slow to detect it. Nor was it remarkable. In London he could indulge to the full his lifelong passion for the theatre. It would have been an added joy to him could he have written a really successful play. His Kit Marlowe was, indeed, produced at St. James’s Theatre in 1893, and was praised by discerning critics; Mrs. Partick Campbell produced his Undine and H. B. Irving his Markheim; but his hand was just a little too heavy for successful play-writing. Minor disappointments failed, however, to embitter him. There was, in truth, little room in his busy life for bitterness. For thirty-four years (1890-1924) he was on the staff of The Daily Telegraph, and, as that great journal wrote on the morrow of his death: “There was no field of journalism to which he was not ready to turn his hand. He wrote leaders, columns of descriptive notes, whole volumes of literary criticism. He was dramatic critic for years; he consulted Viceroys and discussed political situations in high places. Whenever a delicate piece of work had to be done Courtney was the man to do it. He was tact and diplomacy personified. He was also the very kindliest of critics, generous, perhaps, to a fault.” That is truly said. The Daily Telegraph did not, however, absorb all his activities. For over thirty years he was a director, and for some time chairman, of the publishing house of Chapman and Hall, and from 1894 until his death he edited this Review. Both as a publisher and editor he was constantly on the look out for a live voice in literature. One of the earliest of his discoveries was that of a young Newcastle journalist who has since attained world fame as a publicist, Mr. J. L. Garvin of the Observer. 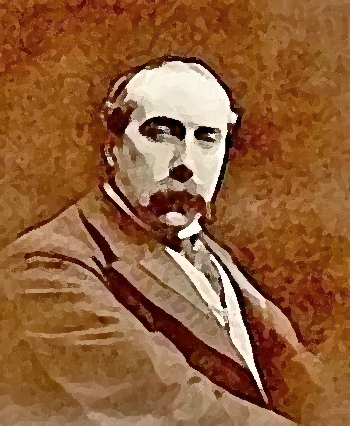 There are many who retain recollections of those brilliant essays on European diplomacy which Cowen’s pupil contributed to The Fortnightly Review over the pseudonym of “Calchas.” Sir James Barrie, whose first serious play, The Wedding Guest, was published in The Fortnightly Review , and Mr. Eden Phillpotts were also encouraged, if not actually discovered, by Courtney. These are, however, only a few of many young writers who in later days have achieved success, and are to-day anxious to bear grateful testimony to the encouragement which as beginners they received from one of the best editors of this generation. If, as an editor, Courtney had a fault it was perhaps his generosity. He hated to give pain; but he never allowed his Review to suffer for his own temperament; rigid in the application of a high standard in his own work, he exacted it in that of others. Always well-groomed in person, he was the sworn foe of slovenliness in art. He was essentially an epicure, as his Studies New and Old clearly indicate. For illustration I would instance his charming Essay on Nathaniel Hawthorne. But his daintiness was not limited to things of the mind. He prided himself, not without reason, on his knowledge of gastronomy. Well do I recall the “Courtney breakfasts” at New College. In those days it was custom (it may be still) for the tutorial staff to meet after early chapel on Tuesdays to compare notes on the work of the undergraduates. That duty done, they breakfasted together in Common Room. The menu was Courtney’s job. A less robust generation may think this a light matter. Not so Courtney. He took his duty seriously, and I still remember with relish the products of his dainty and discriminating taste. Leviora cano. These were the more trivial expressions of a nature which was singularly compounded of the gay and the grave. But Courtney had such a hold over himself that he rarely, if ever, permitted either to predominate. Nevertheless, despite some superficial characteristics, he was essentially a serious man, a man of deep, if restrained feelings, with a high and definite purpose in life. If I had need to prove this statement I should put into the box his friend and mine, Dr. R. F. Horton, the eminent Nonconformist preacher and divine. Theologically the two men were, I suppose, poles asunder. Courtney’s opinions, at any rate in early life, were the result of a violent reaction against the stern Calvinism of his immediate forbears. Nathaniel Hawthorne had something of the same experience, but he confesses in one of his inimitable and self-revealing Prefaces (it may be to The Scarlet Letter) that the fibres of those Puritan ancestors of his were closely intertwined with his own. Who and what, they seemed to say to him, is this degenerate scion of a respectable stock? A writer of story-books? Of what use is he in the serious business of life? Yet, disown me as they may, I am truly their child. So in effect said Hawthorne. I often thought that Courtney might, in similar fashion, have held converse with that stern old Puritan his father, or his grandfather, the Rev. 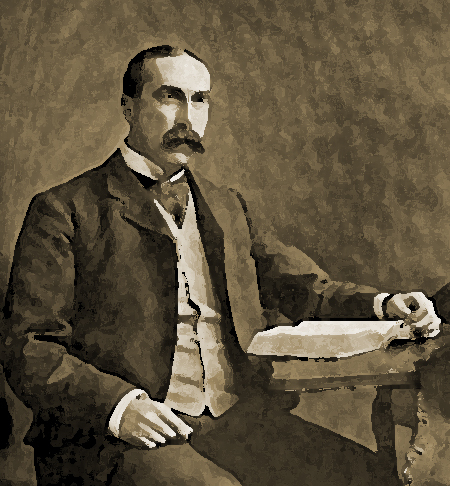 Septimus Courtney, whose strict evangelicalism brought him into unequal conflict with his Tractarian Bishop. Be that as it may, Courtney’s mind increasingly turned towards “serious” things, as his Literary Man’s Bible (1907), the Literary Man’s New Testament (1915), and The Bedside Bible (1925) cumulatively testify. In the last two years of his life the New Testament in Greek was never far from his hand. This is not, however, the place for developing this theme. Let me add only the expression of a hope that should a life of Courtney he written, his pupil, colleague and friend, Dr. Horton, may be induced to contribute a chapter to it. Without such a chapter the volume would, I am confident, be lamentably incomplete. Courtney was a living example of the validity of his own precepts. To the very end he was the friend and playmate of his grandchildren and their friends. The grandchildren never even thought of him as an old man; they talked to him as if he were their own contemporary, instinctively realising that he was frankly interested in the things which interested them, fully sympathetic with their point of view, while drawing for their benefit upon his own plenteous stores of wisdom and experience. No one who knew the Oxford Courtney – the brilliant teacher, the keen metaphysician – doubted that he had a logic of the head; no one who knew him in his later and mellower and happier years could ever question the truth and depth of his “philosophy of the heart.” In pace requiescat. Sir John Marriott, MP, taught at New College, Oxford, was a popular historian and a lifelong friend to W. L. Courtney. This notice appeared in The Fortnightly Review, December 1, 1928. This Fortnightly Review article is filed under the following rubrics: Archived content, Biography and Memoir, In Memoriam. Publication: Wednesday, 12 April 2017, at 10:45. Options: Archive for John Marriott. Bookmark the permalink. Follow comments here with the RSS feed. Post a comment or leave a trackback.